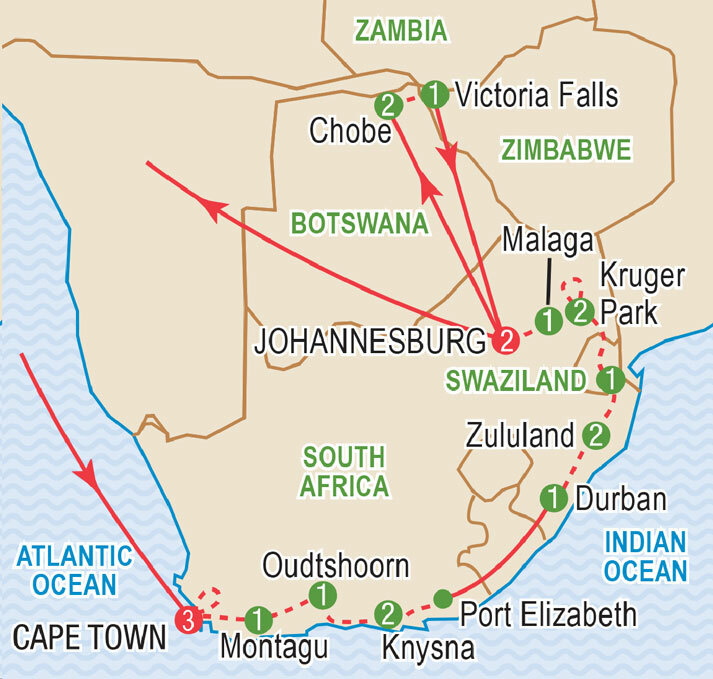 While relatively easy, this journey features long flights, a number of walks over uneven ground (some with steps) and some hot humid days. Members should be physically active to fully enjoy this tour. Hotels are comfortable, roads are good and the food is excellent throughout the region. Often described as ‘The World in One Country’, South Africa is blessed with a diversity of climate, geography, wildlife and cultural heritage not possible anywhere else. Each day we find new and exciting vistas spread before us: the rolling pasturelands of the Mpumalanga; the rugged peaks of the Drakensberg; the bush with its endless varieties of game and bird life; miles of golden sand beaches; quaint country towns, modern thriving cities and much more. South Africa has undergone a number of tremendous political and social changes over the past two decades, from minority white rule and apartheid to representative government. Today we find a country that is living in harmony, both with nature and man. We have special opportunities on this journey to meet with and to learn from different ethnic groups within South Africa. Our previous departures to South Africa filled extremely quickly. We urge you to enroll early. Tour members from across Canada fly to Washington where we catch our connecting flight to South Africa. Our day begins with a drive through the city centre and visits to the Company's Garden and St. George’s Cathedral. Dating from 1824, the church has been the pillar of the Anglican Church in South Africa and was a major centre against apartheid led by Bishop Desmond Tutu. After lunch, if weather permits, we will take the cable car to the heights of Table Mountain. This unique landmark rises over 1,000 metres above the city and spreads horizontally across the skyline. Enjoy a guided walk through the National Botanic Garden in Kirstenbosch, a 528 hectare natural area set on the slopes of Table Mountain with over 10,000 different native flowers and plants. Following a lunch break, we will visit the penguin colony at Boulders Beach. 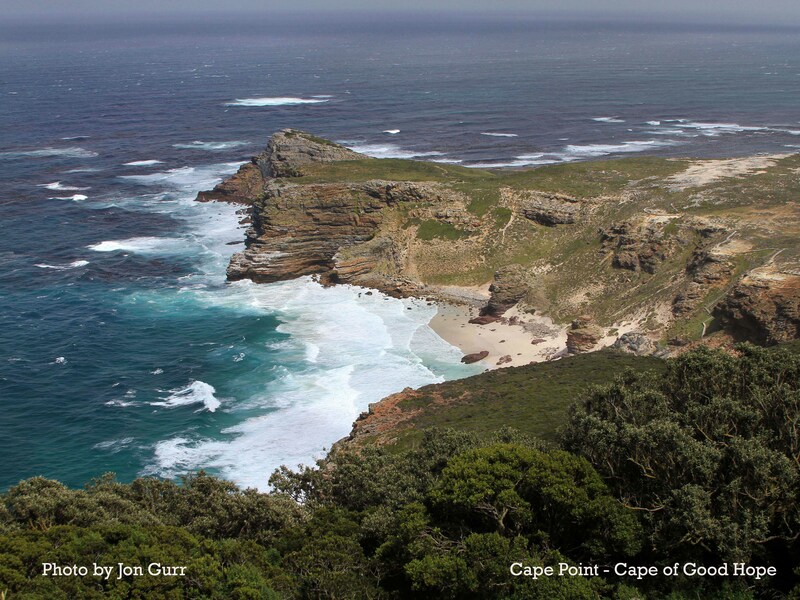 Delight in the magnificent scenery as we drive to Cape Point, on the tip of the Cape of Good Hope. This evening, we will enjoy our Welcome Dinner at the Africa Café, where we sample different foods from around the continent. This morning we depart for the long established university town of Stellenbosch, with its oak lined streets and stately mansions. The area was first settled in 1680 and many buildings date from the late 18th century. Continue to Boschendal Wine Estate to appreciate a cellar tour, wine tasting and buffet lunch. Explore Franschhoek, situated in a beautiful valley of its own, where we shall see the Huguenot Monument before we continue to Montagu. This morning we shall explore the fascinating Cango Caves followed by a visit to an ostrich farm to learn more about these fascinating birds and to enjoy a lunch featuring its eggs and very lean meat. This afternoon we descend the Outeniqua Pass and drive through the Garden Route Lakes District to the resort centre of Knysna. Enjoy a leisurely morning relaxing or exploring on your own (members can take a cruise on the Lagoon). Our afternoon is highlighted by a reception at Theodora Creche, hosted by the local coloured community and a visit to a local soup kitchen. With your help, we support both of these operations financially. Enjoy a nature walk on Robberg Nature Reserve. This evening we have arranged a very special treat. We will share a homemade dinner with South Africans in aid of the soup kitchen. Departing early, we head east along the coast following the scenic route via Tsitsikamma, stopping en route to visit The Big Tree, to Port Elizabeth. It is known for its sunshine and beautiful sandy beaches. From there, we fly to Durban, where we will overnight by the northern beaches. 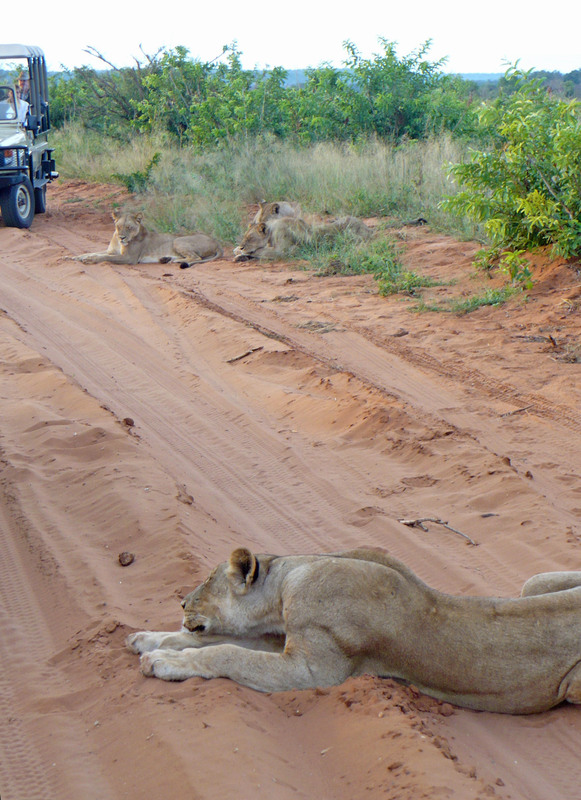 This morning we are taken on our first game drive, exploring the Mkuze Game Reserve in open 4x4 vehicles, with opportunities to see a wide variety of game. The afternoon we can relax at our resort or join an optional excursion to explore the mountainous countryside of the traditional Zulu homelands, highlighted by a visit to a Zulu compound where we will be introduced to the unique lifestyles of this people. 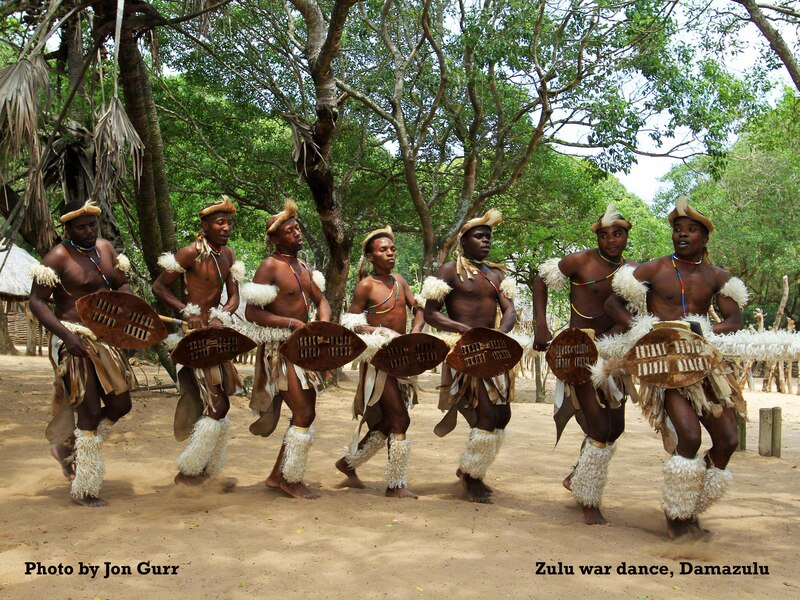 This evening, weather permitting, we are treated to a BBQ dinner and a presentation of Zulu war dances. Our morning drive takes us to neighbouring Swaziland, an independent kingdom. Follow the Ezulwini Valley, the ‘Place of Heaven’, to the capital, Mbabane. Lunch will be in the Ezulwini Valley. En route we will visit the Swazi Market, Swazi Candle Factory and a craft centre. 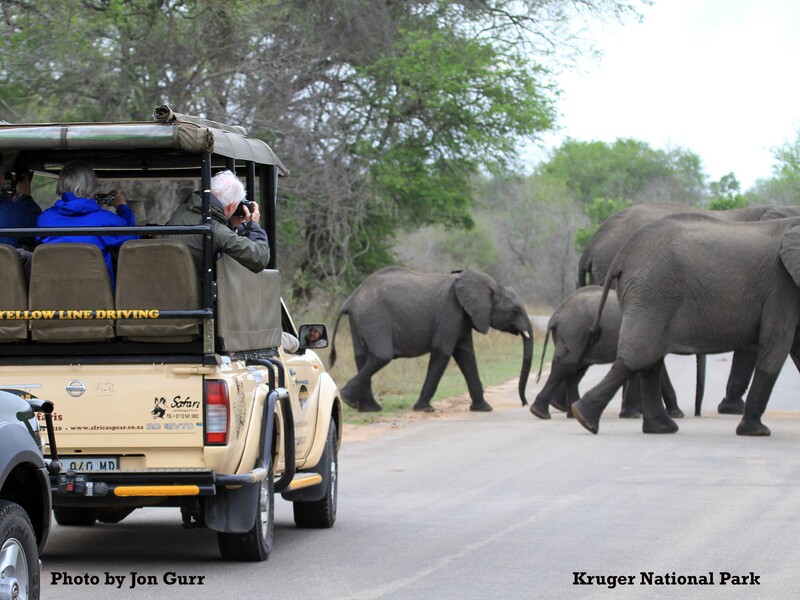 Enjoy a full day game drive through the heart of Kruger National Park in open game-viewing vehicles, in search of the ‘Big Five’: elephant, buffalo, rhino, lion and leopard. This evening, relax in our delightful lodge. This morning we travel to Pretoria crossing the rolling farmlands of the Highveld. Pretoria is the picturesque capital of South Africa. Explore this gracious city known for its broad avenues bordered by flowering trees and its impressive public buildings and monuments. Enjoy a morning drive through Johannesburg, a city created from the wealth of gold and diamonds and visit the excellent Apartheid Museum. Explore the township of Soweto, home of Bishop Desmond Tutu and Nelson Mandela, and to Regina Mundi, the parish church known for its resistance to Apartheid. We enjoy a special lunch at ‘Chez Alina’. Our flight brings us to the north of Botswana and the gateway to Chobe National Park. 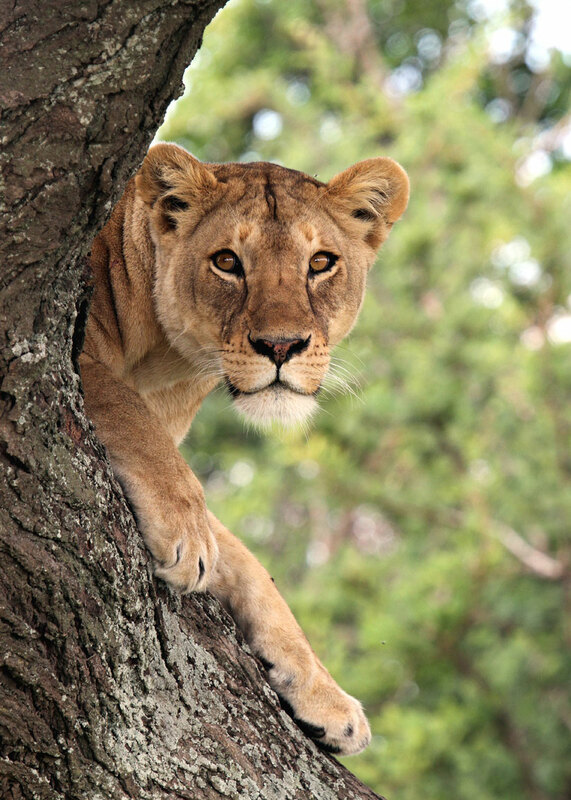 Home to superb game viewing, Chobe covers over 11,000 sq. 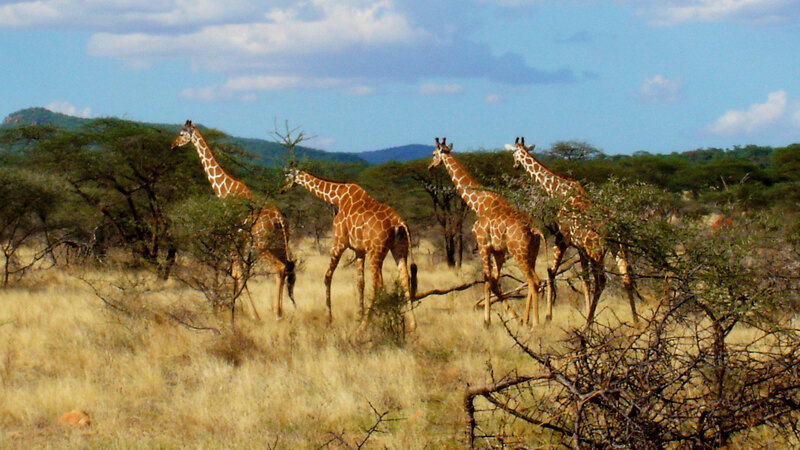 kilometres and has a large variety of wildlife including large herds of buffalo and elephant plus hippos and lions. Enjoy free time to relax by the pool and appreciate a dinner under the stars accompanied by the unique sounds of Africa. Enjoy a full day in the park with morning and afternoon excursions in open land rovers and by boat to view the game that frequent the fertile flood plains of the Zambesi. 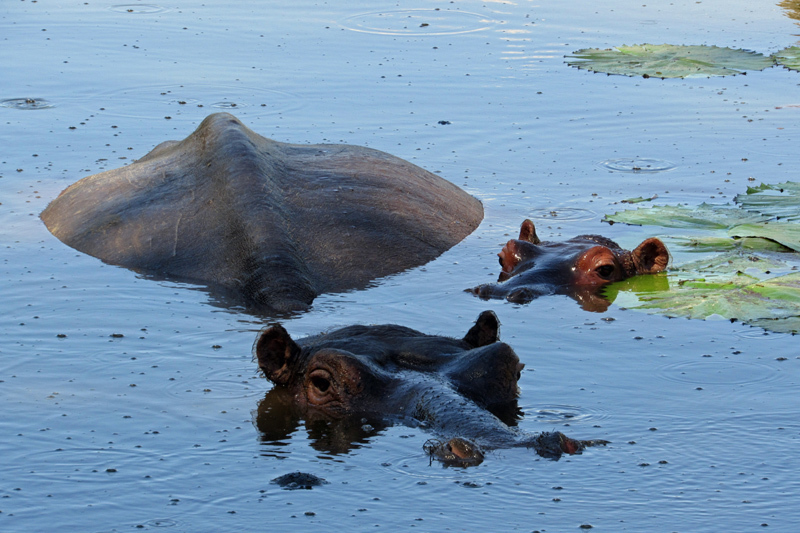 A highlight of our stay will be the visit by boat to the natural hippo pool, a short distance from the lodge. After a final game drive this morning we cross into Zimbabwe and Victoria Falls. 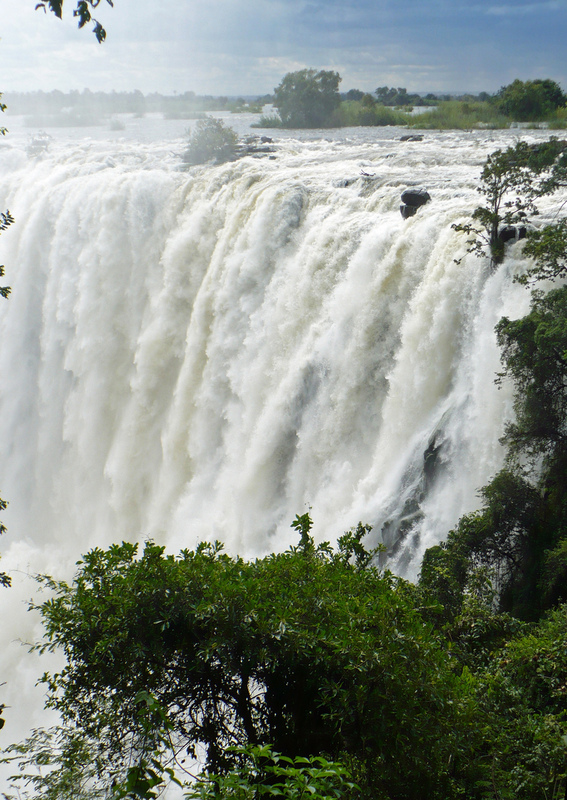 Discovered by David Livingstone in 1855, the falls are this region’s most spectacular natural sight. Enjoy a guided walk along the falls. Weather permitting, there will also be an optional helicopter ride. 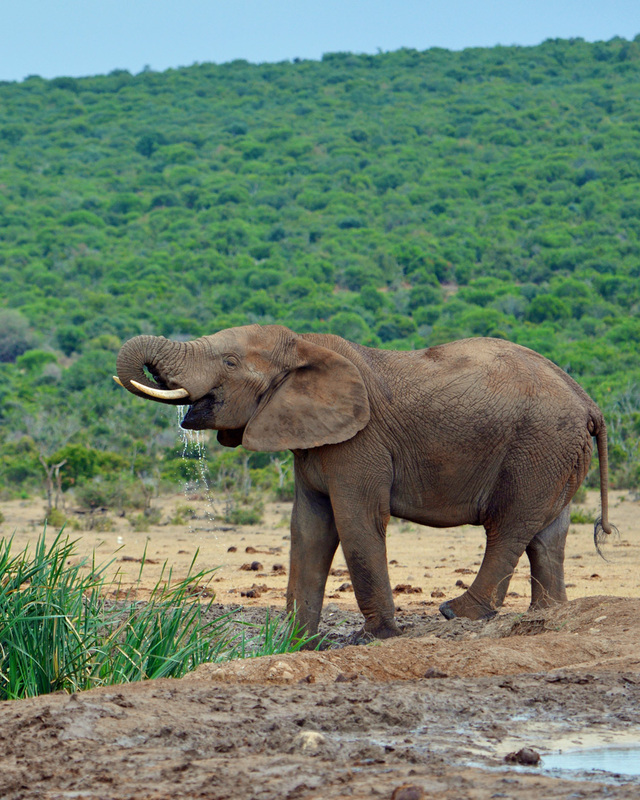 At 353 feet high and over a mile wide, they are the largest in Africa. Enjoy the sights of the main falls, Devil’s Cataract and Danger Point. Relax and enjoy the amenities of our beautiful resort. Early this afternoon we catch our return flights via Johannesburg and Washington to Canada. On arrival in Washington, we catch our continuing flights to Toronto and our homes across Canada. Tour price is based on sharing a twin-bedded room. Prices are based on a minimum 20 members and on rates, taxes and fees effective February 2018 and are subject to change due to factors beyond our control. Group to be escorted with a minimum of 20 travellers. *Land only price includes no flights. International and internal flights are only included if booking air-inclusive. Preliminary Air Pricing: Air inclusive prices are estimated and subject to change. Final pricing will be published, and booked passengers notified, once air is available. Air inclusive rates: Airfares from other gateways are available on request. International flights will be on South African Airways travelling via Washington. Prices DO NOT INCLUDE the cost of insurance which is available and is highly recommended. Premiums vary with the cost, length of the trip, and the traveller’s age. For passengers up to and including 74 years on departure date, premiums will range from $456 to $663 pp plus applicable taxes. Cost supplements for travellers aged 75-85 will range from $243 to $516 pp plus applicable taxes. Clients 86 years and older and/or clients residing outside Ontario - please contact our staff for procedures. Clients 86 years and older and/or clients residing outside Ontario – please contact our staff for procedures. This insurance is effective from the date of purchase and carries limitations on pre-existing medical conditions. Please discuss your insurance coverage prior to booking. Refer to our Terms and Conditions for more information.